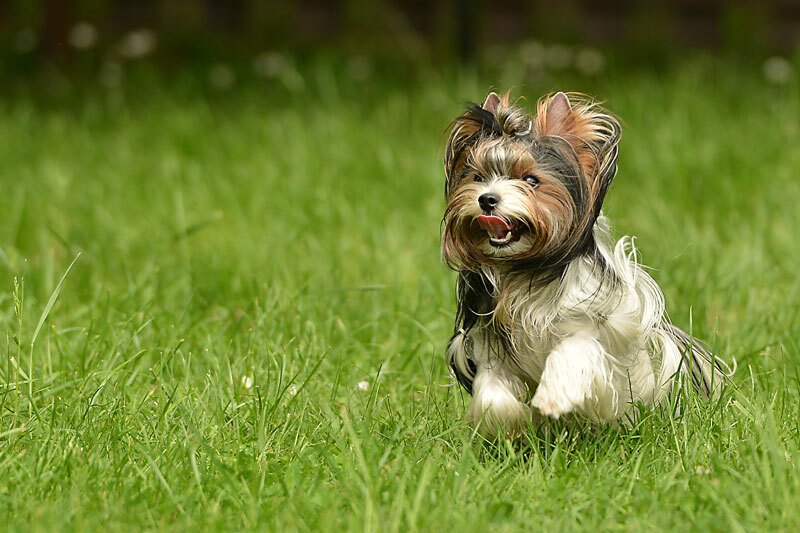 The luxurious, flowing coat is one of the things that may have drawn you to a Morkie. That coat can be any mix of the Yorkie’s black, brown and gold colours. 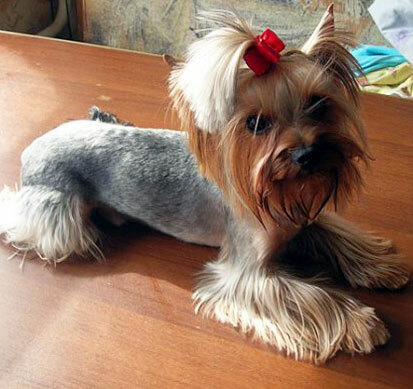 Then add in the Maltese dog’s pure white coat. The result is beautiful–and unique. But there’s just one thing. Thanks to the mats, the dog needs a real shave down. That puppy cut comes out like an extreme buzz cut you’d see on a punk band in the subways of New York. 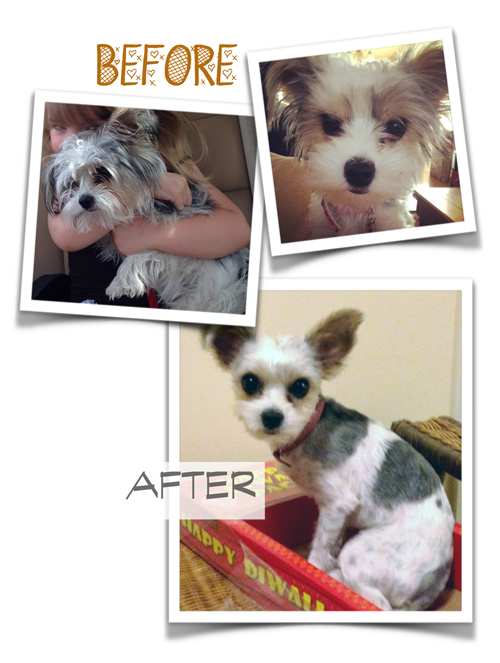 Suddenly your adorable, cuddly Morkie looks more like a skinny, trembling little rat. Morkies with a shaved-off coat look all bony and awkward. And contrary to popular belief, the Morkie’s long coat does not make him hotter in the summer. In cool weather, there’s no insulating coat to keep him comfortable. Why would you cut this beautiful hair? Coats can be confusing. 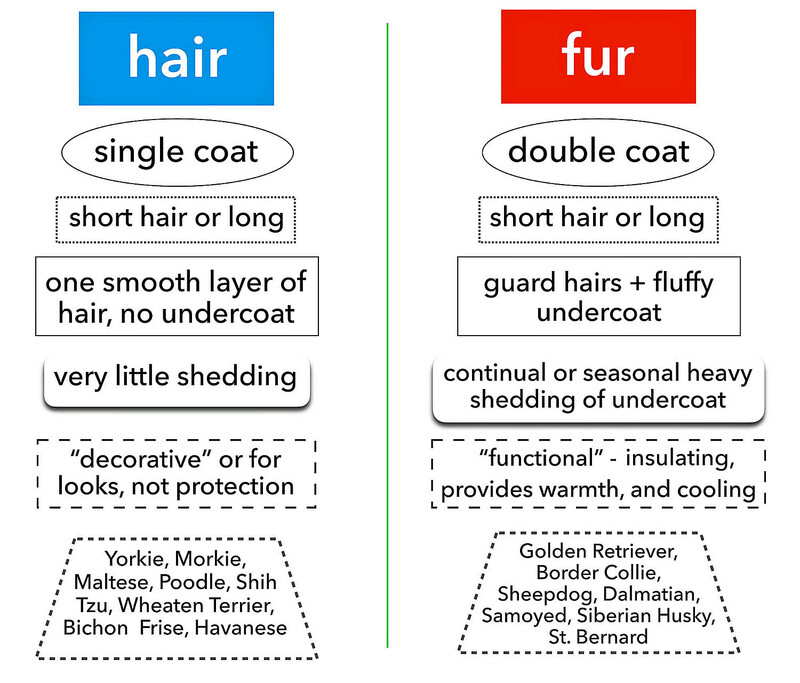 But here’s what you need to know in a nutshell: dogs have either hair or fur. Hair does not shed but fur, with its fluffy undercoat, does shed. Usually a lot. 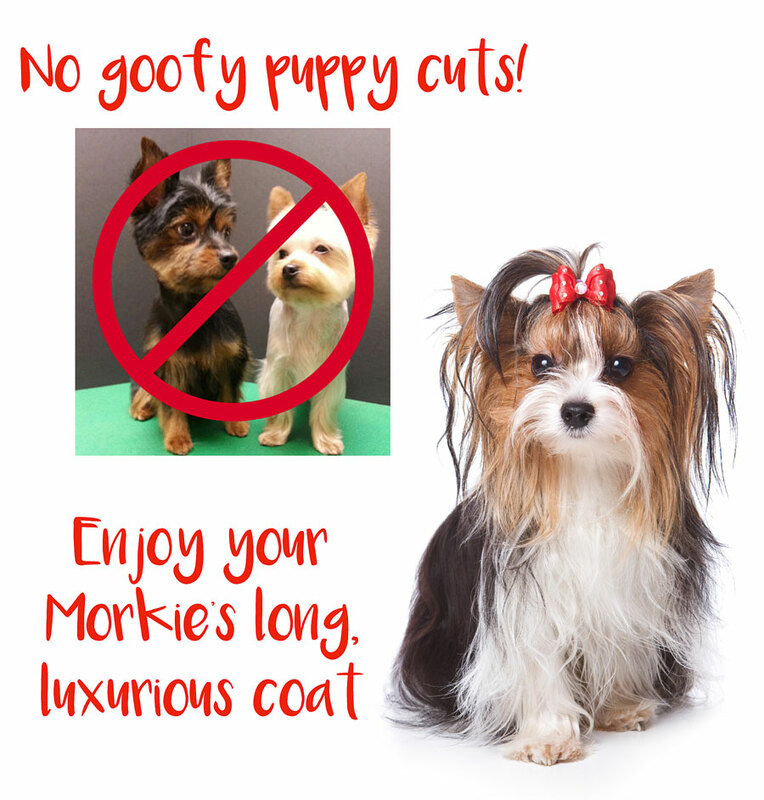 The good news is Morkies have hair, not fur. So if you or anyone in your household has allergies, this dog shouldn’t bother you as much as one with fur. And, if you hate dog hair all over the place, the Morkie is the right choice for you. Hair is decorative and fur is functional. Because hair is just one layer, there is nothing to insulate the dog who has hair. He can get cold in winter and sunburned in summer. That’s the Morkie. The double-coated dog, on the other hand, has fur that does protect him against weather’s extremes. Think Golden Retriever. But a dog with thick fur can suffer from heat stroke. The Morkie has what’s technically called a silky coated, long coat. Other dogs with this kind of coat are the Afghan Hound, Wheaton Terrier, Lhasa Apso and the Shih Tzu. All are easier to groom than most dogs because there is no undercoat that needs stripping and thinning. However, that long, silky hair can easily knot and end up in mats. 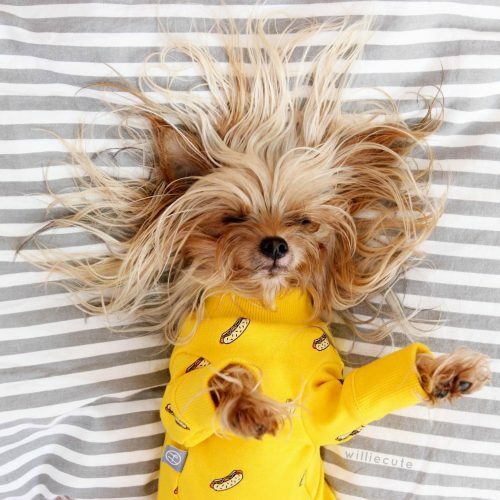 In just a few minutes a day, you can keep your Morkie’s hair long, untangled and flowing. Start slowly if your dog doesn’t like grooming, like literally 2 minutes at a time. Try to make grooming/combing time fun for your Morkie. It’s a great time to bond, and combing your dog gives you a chance to check over his skin and general condition as you comb. Next, pick a bristle brush, with soft bristles and a wooden handle for your comfort. A coat rake can be handy, especially after a bath, to make big, smooth swatches through the hair. The teeth in coat rake are very far apart. It’s a nice-to-have, not a necessity for a great coat. 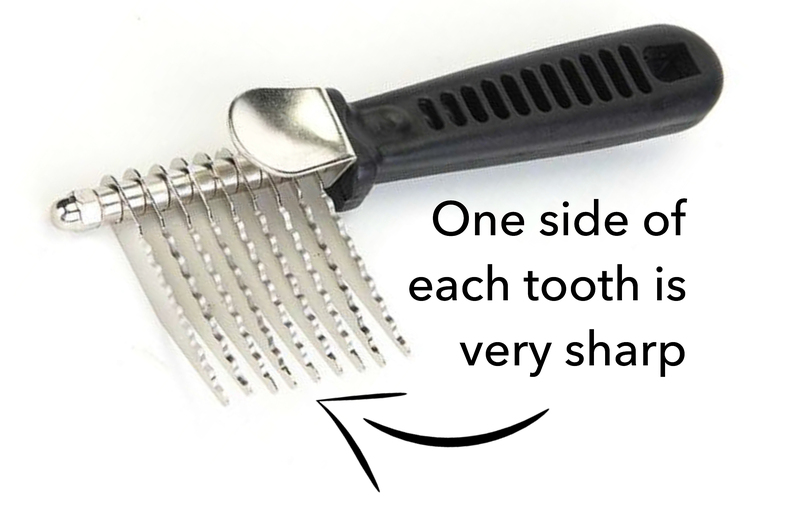 Finally, the tool I can’t live without – the dematting comb. You have to be very careful with this of course, but it is amazing for combing through matted hair. The sharp teeth cut through the mat without pulling. You can get one at Amazon for under $10.00. 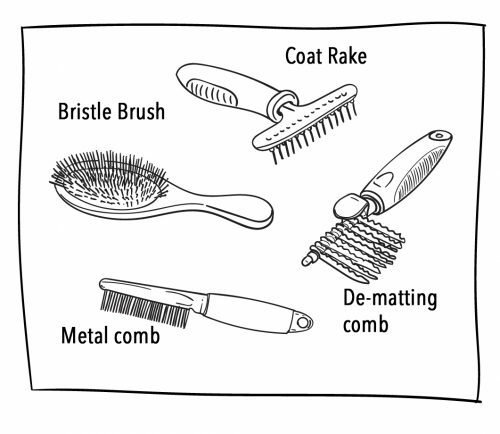 Below, the dematting comb, a real lifesaver.